Coolpad Dazen 1 SpecificationsÂ :-Â Today the chinese manufacturer Coolpad has officially entered the Indian market with the launch of a couple of feature-rich handsets, Dazen 1 and Dazen X7.Â While the Dazen 1 is priced at Rs. 6,999, the Dazen X7 is priced at Rs. 17,999. Â The smartphones will be exclusively available on e-commerce marketplace Snapdeal starting June 9. There is no difference between these two flagships. Just the X7 comes with the larger display screen.Â Lets have a look at the Coolpad Dazen 1 Specifications, its pros and cons and its price. According to the Coolpad Dazen 1 Specifications, the phone is packed with a giant 5.0 inch screen which provide resolution of 1920 x 1080 pixels that will provide a great pixels density. It measures 141×71.5×9.3mm, but the company has not yet specified the weight of the smartphone. The phone doesn’t come with the latest version but seems like there soon will be news about the up-grade and we will update you for that. The device comes with Android Kitkat 4.4.2. Along with Android OS the phone also has Collpad UI inbuilt. Similar to other devices launched which are quite good under the hood as the device Coolpad comes with Qualcomn Snapdragon MT6595 processor clubbed with 2 GB of RAM. The device looks pretty good that can easily handle all those heavy apps and play those bulky games. The 2 GB of RAM will help in smooth transaction between the apps. On the camera front, the Coolpad Dazen 1 equips 8-megapixel f/2.2 autofocus rear camera with LED flash and a 5-megapixel front facing camera for video chats. The device features standard connectivity options including Wi-Fi, 3G, FM radio, GPS, Bluetooth 4.0 and Micro-USB connectivity. The smartphone is backed by a Li-ion 2500mAh battery, which is rated to deliver up to 3 hours of talk time and up to 200 hours of standby time. For all the entertainment and your funÂ a 8 GB internal Storage is been provided by the company and for a external storage device it is still a mystery. Having a look at the previous version of the phone launched by the company seem like there should be external storage option. The phone packs with the 2 GB RAM. This would be all about theÂ Coolpad Dazen 1 Specifications in terms of memory. 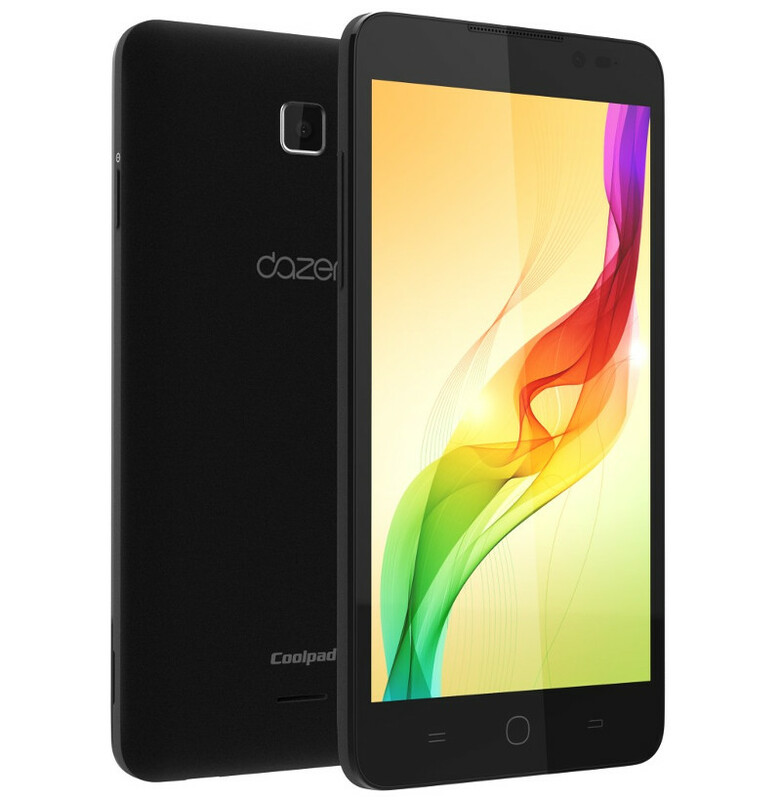 The Coolpad Dazen 1Â comes in Moondust Grey and Baby snow white colors and is priced at Rs. 6999. It will go on sale exclusively on Snapdeal starting from June 9th. Registrations for the sale will start at 6PM on Snapdeal today. This would be all for theÂ Coolpad Dazen 1 Specifications. For more information stay tuned with us.